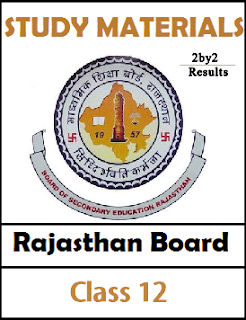 Rajasthan Board 12th Syllabus - We have provided the RBSE 12th Syllabus of all subjects. In this page, We have provided Rajasthan 12th syllabus subject-wise in PDF format. Students can download Rajasthan Class 12 syllabus Science, Rajasthan board syllabus 12th Arts, Rajasthan Board syllabus 12th Commerce. RBSE Class 12th Syllabus for all subjects provided here is the New and revised syllabus updated by Directorate of Government Educations. Students and staff can use below link to download the 12th Class Syllabus and make use of them. RBSE Class 12th Syllabus is attached for Arts, Science, Commerce, Agriculture groups. We request Students and teachers to comment below if there is any discrepancy in downloading Rajasthan Board 12th Syllabus PDF.